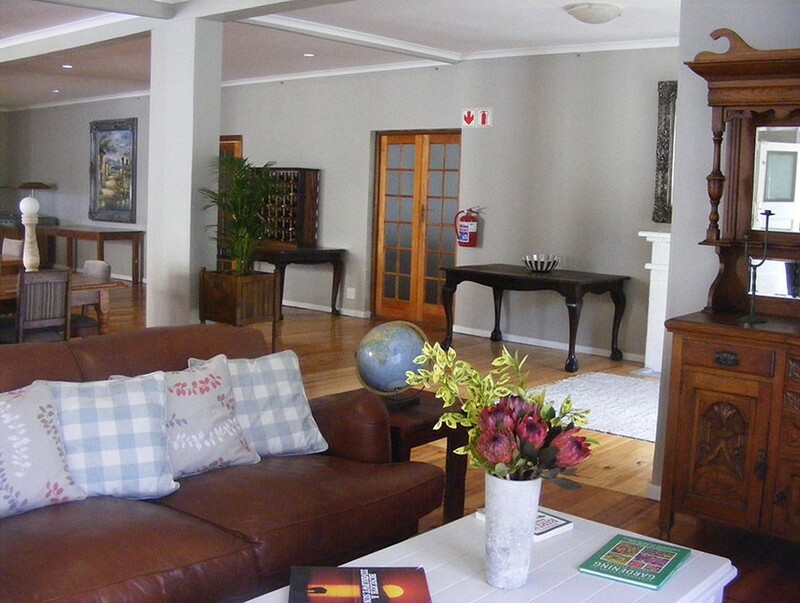 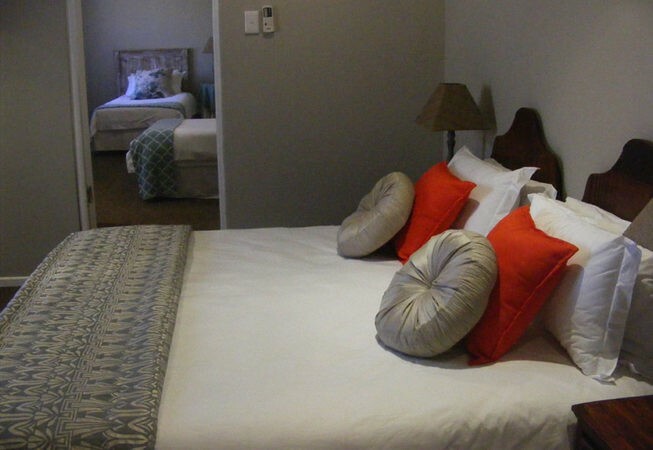 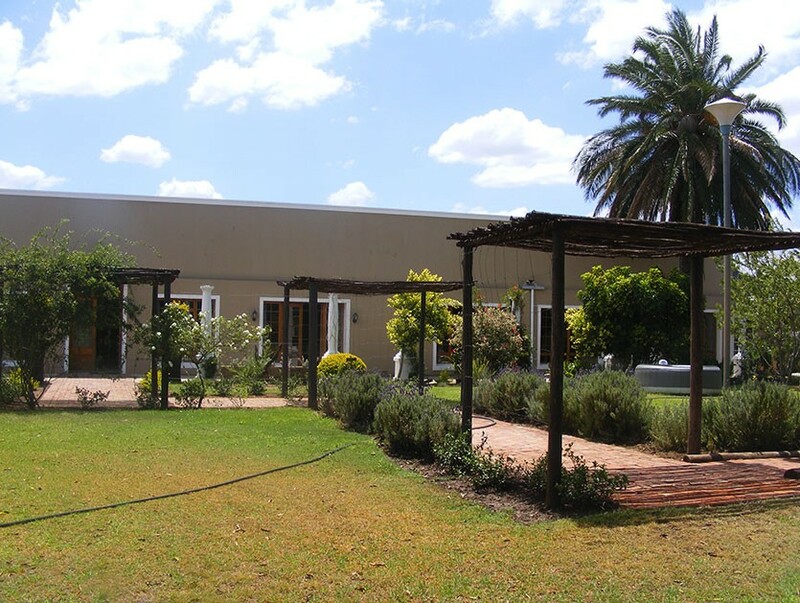 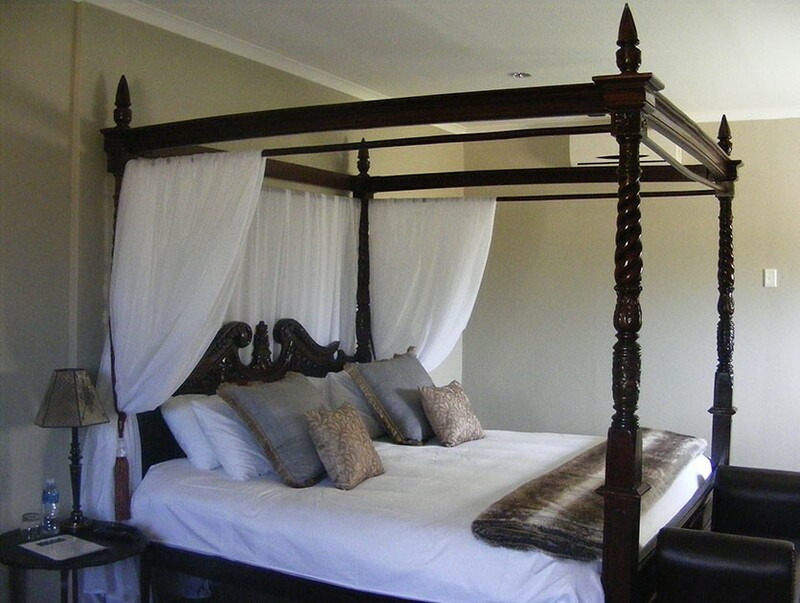 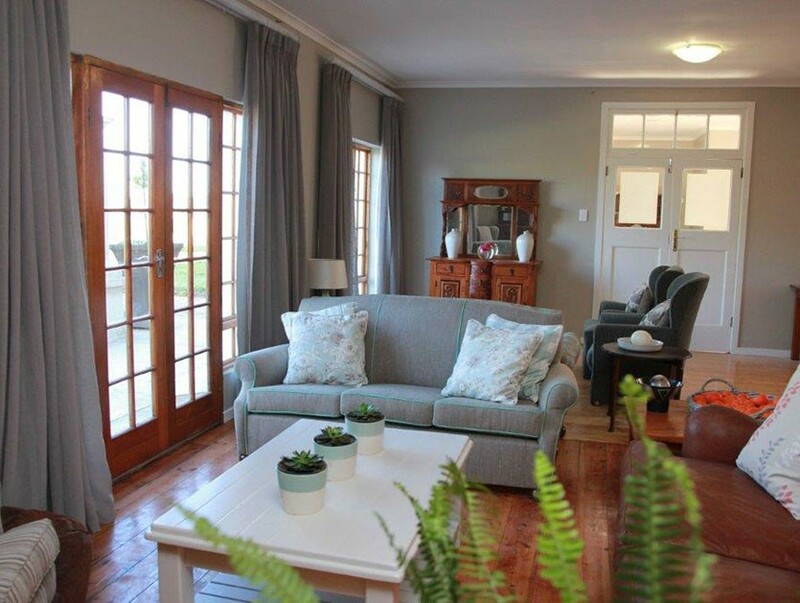 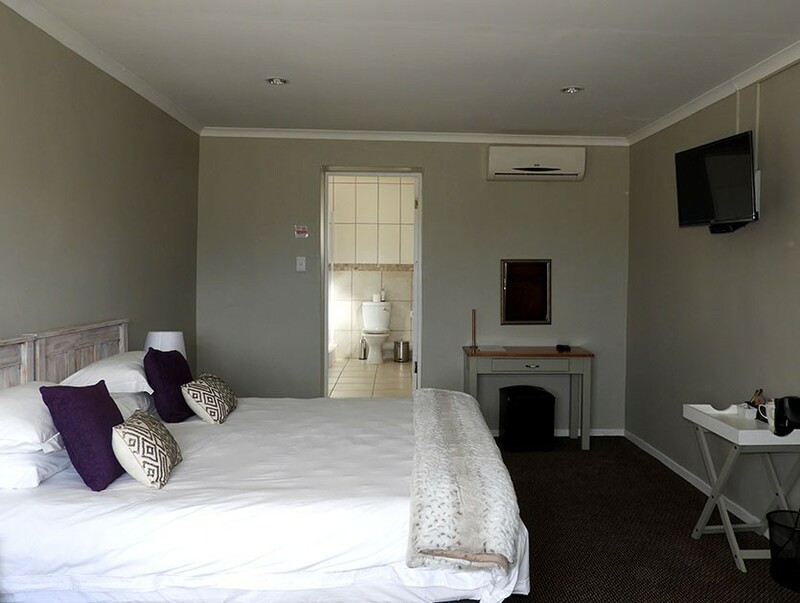 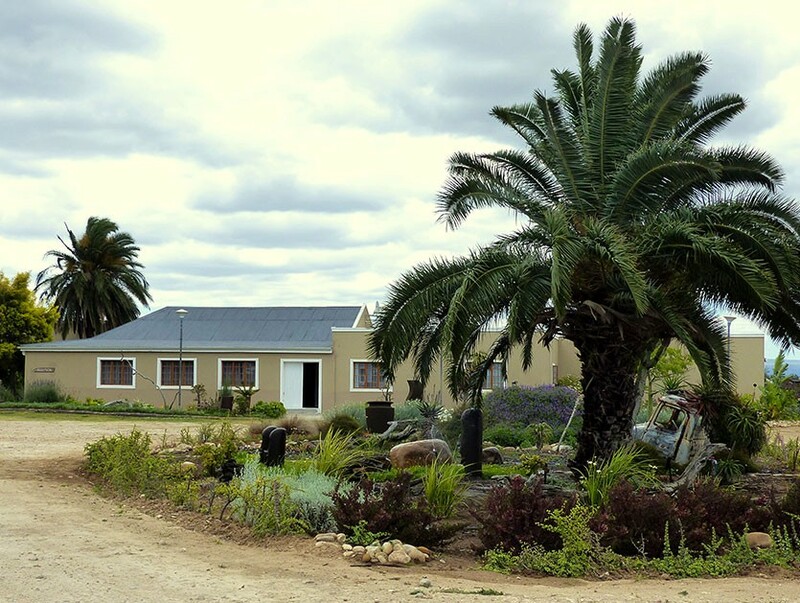 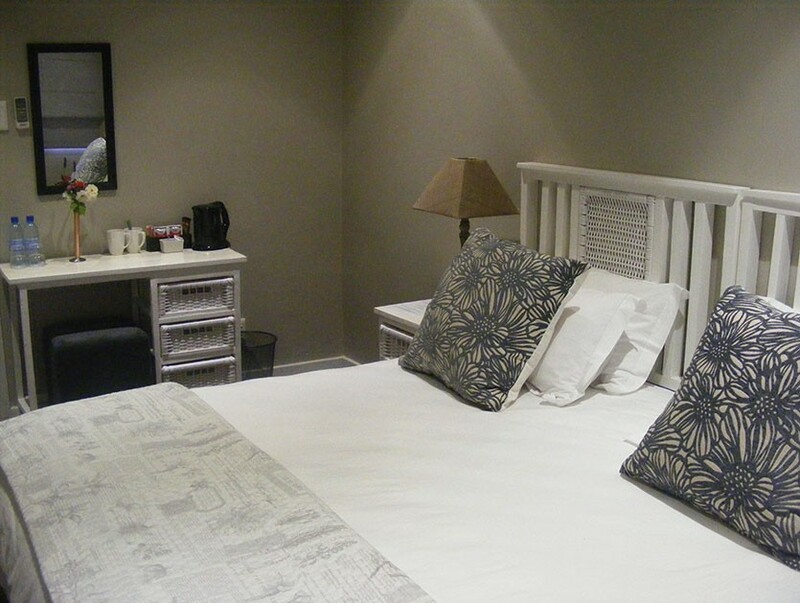 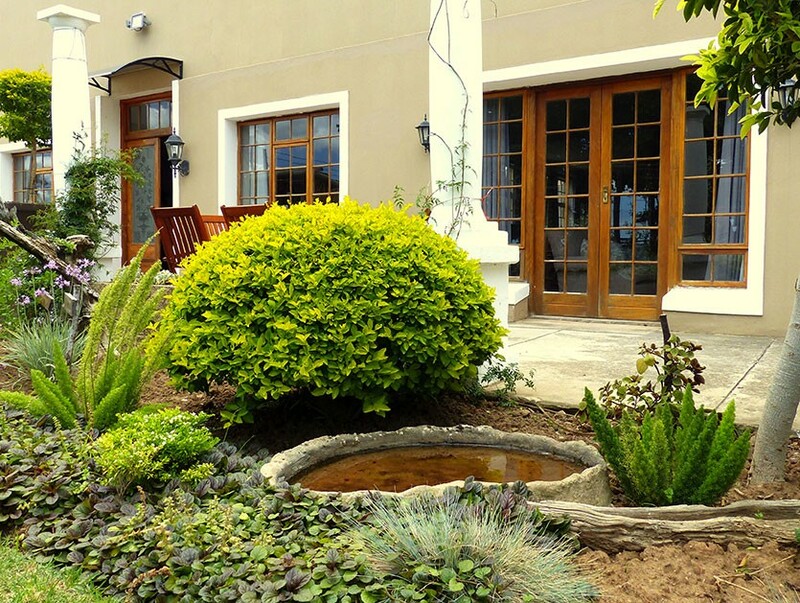 The Kraal was built in 1844 and has been restored to retain its colonial charm and country ambience. 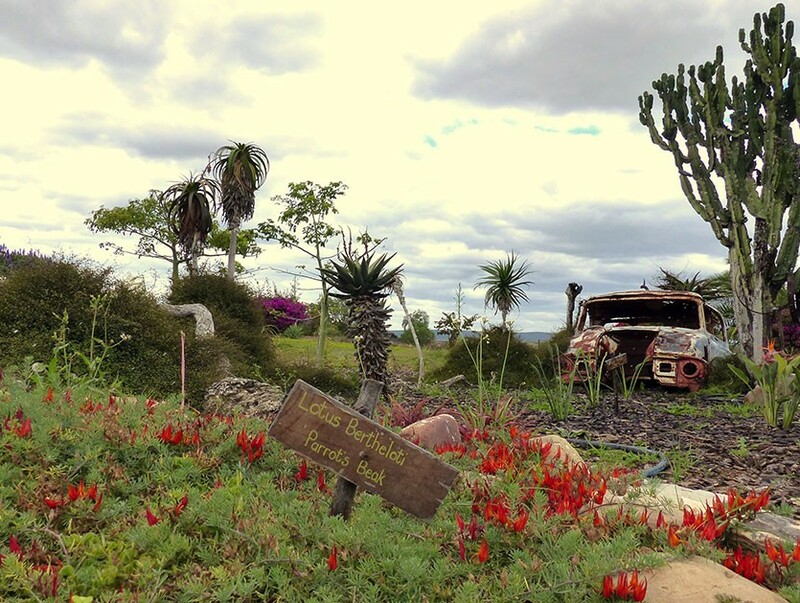 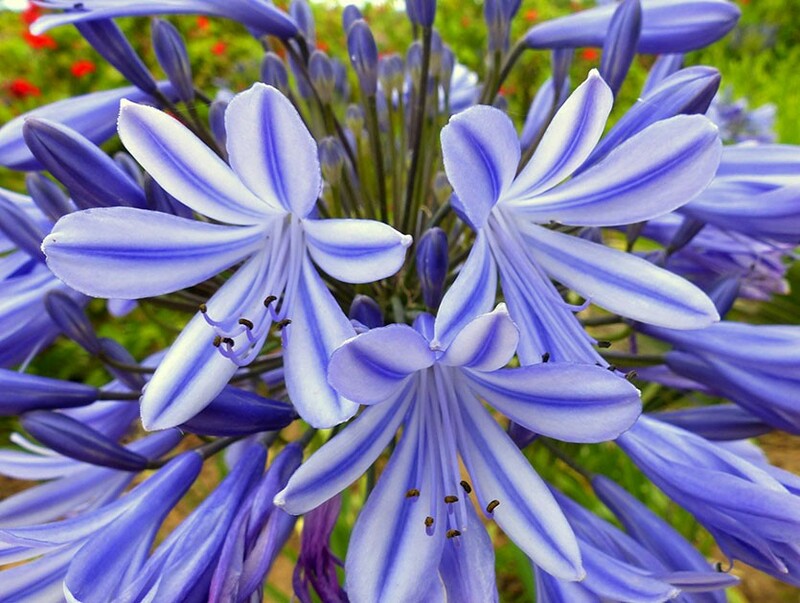 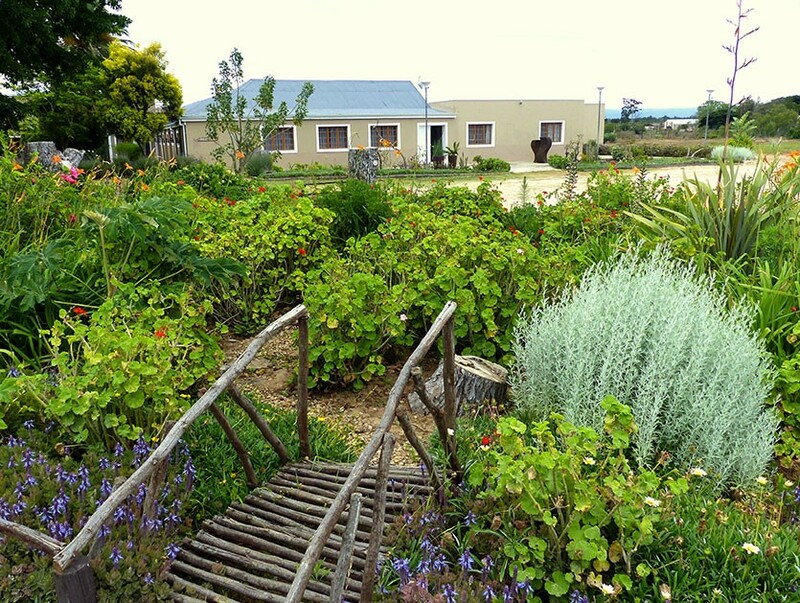 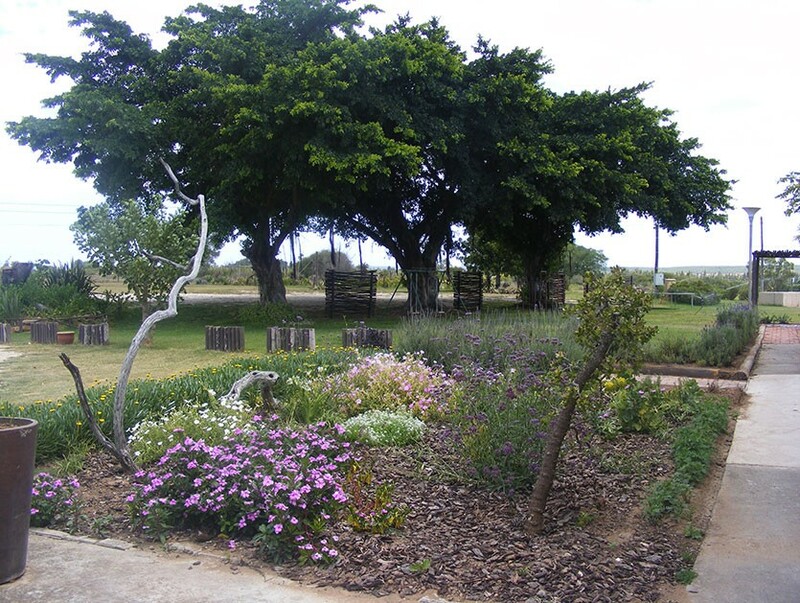 ‘The Kraal’ is surrounded by rambling gardens that offer an intriguing mix of indigenous flora growing amongst the remnants of a Bedford truck from bygone days, kudu horns and drift wood. 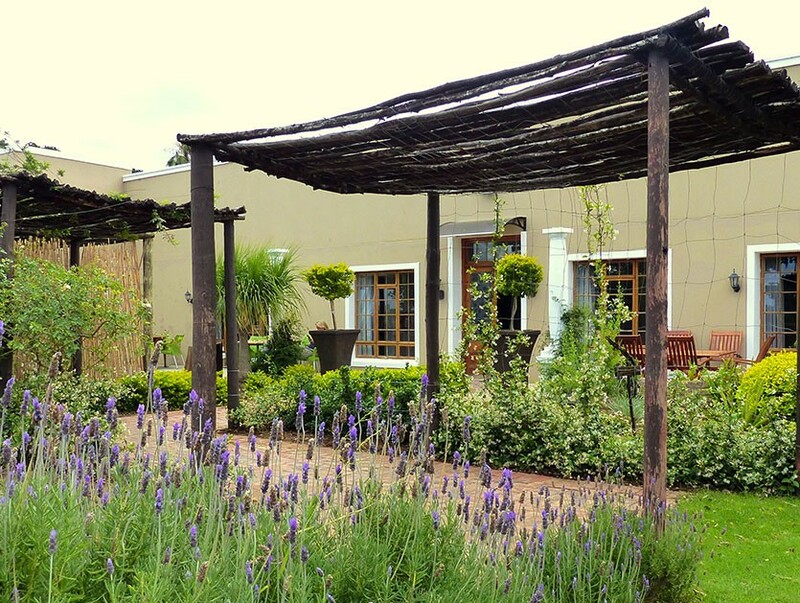 Stately fig trees offer welcome shade in the summer, while the fragrant lane of lavenders and Jasmine lead to the original front door. 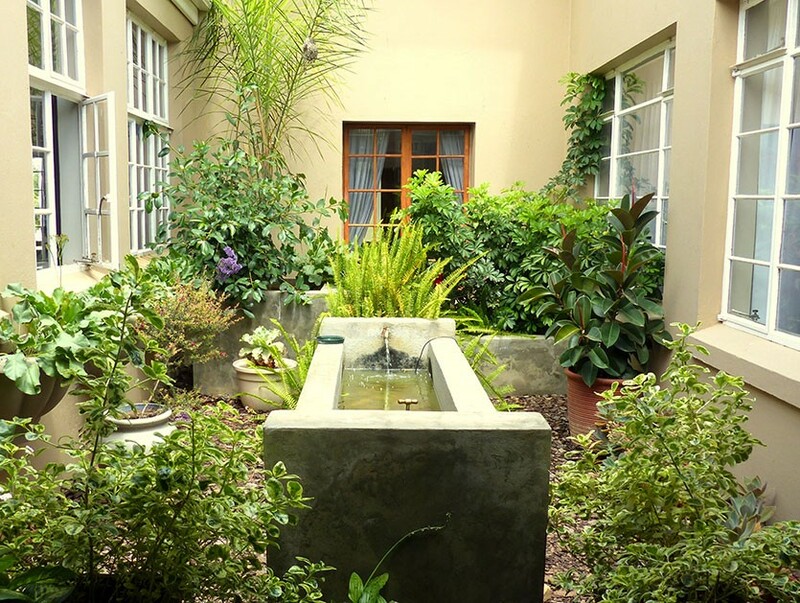 Breakfasts are included with your accommodation and can be enjoyed in the elegant dining-room overlooking the atrium of tropical plants, where the rustic water feature enhances the peaceful setting at the heart of this homely place. 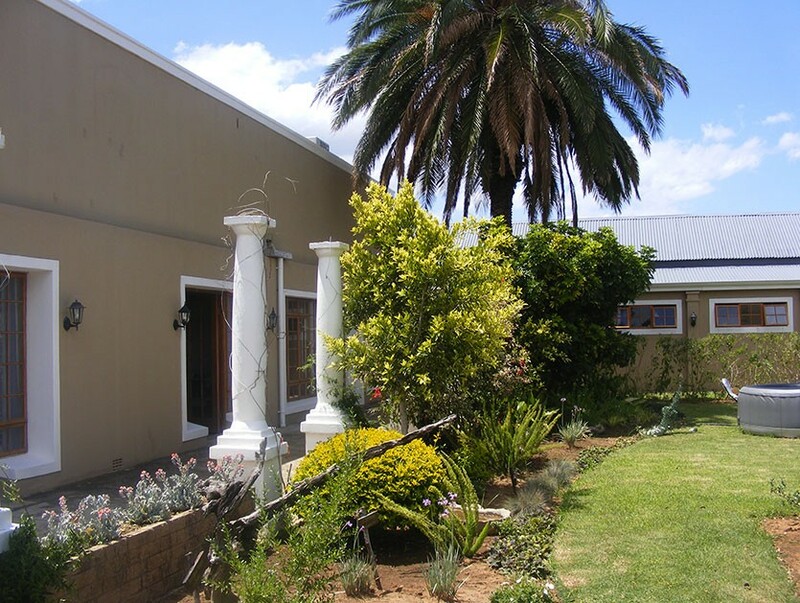 The locals frequenting the Kraal’s Pub contribute to its friendly, jovial atmosphere. 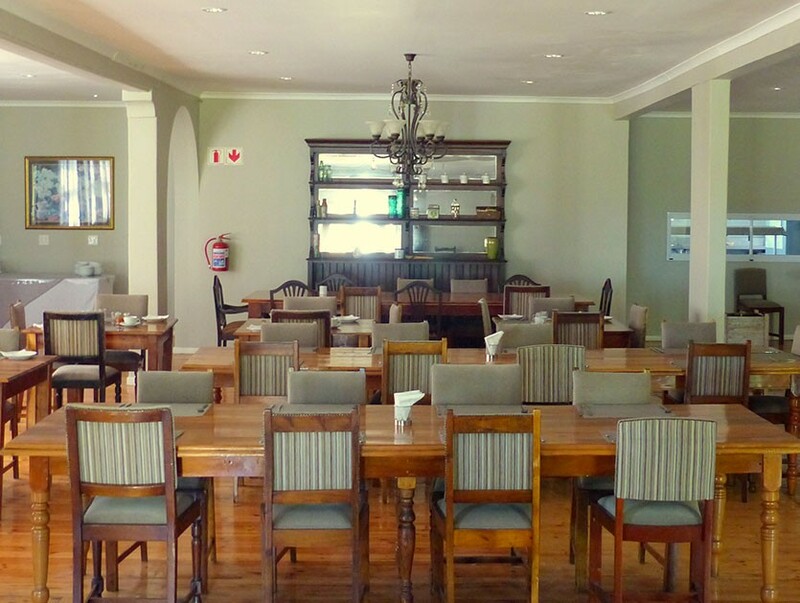 The rustic furnishings, “buckskin” suede walls and curved mahogany counter create a cosy pop-in place for a quick drink at lunch-time or chill for hours and enjoy the laid-back companionship of the friendly staff. 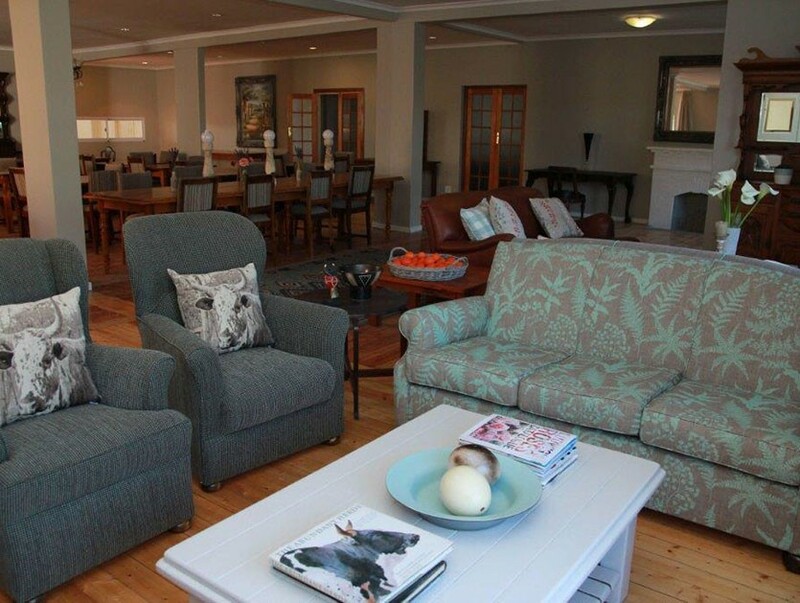 Definitely a great place to share some match-time with mates!